Oh, Warcraft. So many were hoping you would be the first great game-to-film adaptation. And then you were… well, you were okay, but you weren't the breakthrough we were hoping for. Director Duncan Jones is still down to make a sequel or two and hopefully improve on the first movie's missteps, but he has a few issues he wants addressed: namely, the budget and studio interference. Over the weekend, Jones responded to a fan's tweet praising the movie, saying: "Under the right conditions, I'd love to do another one!" When pressed on what those conditions were, Jones responded, "Lower budget, less cooks in the kitchen." Which … might be the first time I've ever seen a filmmaker ask for less money to make a movie with. The two points are no doubt related: a studio backing a higher-budget production is going to insist on having more influence, while a lower budget could help scale down the story to something less blockbuster-y (which is more Jones' strength) and simultaneously reducing executive interference. As for the complaint about cooks in the kitchen, it's a sentiment Jones has shared before. "Trying to make a movie like Warcraft, and trying to do it in a unique way... you get killed by a death of 1,000 cuts. Not just editing cuts. It's little changes that seem really innocuous," he told Thrillist in August. "When you make a little change it doesn't seem like a big deal. When you keep making those little changes, especially over three and a half years, suddenly you're basically spending all of your time trying to work out how to patch up what has been messed around with." 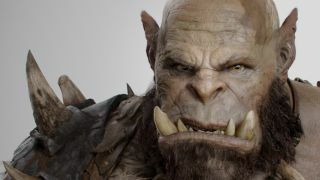 While Warcraft was a financial flop here in the States, it performed well overseas, gaining traction in Europe (except the UK, where it also underperformed) and particularly China. There's always the chance that a sequel could be made, but we might also, like Jones, just have to settle for dreaming up our own "what if" scenarios.